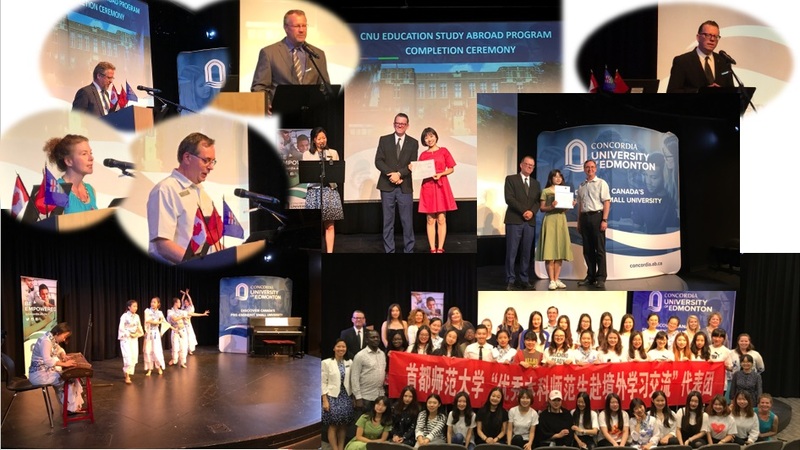 The Centre for Chinese Studies (CCS) proudly announces that the Chinese cohort students from Capital Normal University celebrated the completion of the CNU Education Study Abroad Program with CUE students, faculty and staff on Tuesday August 29. There were 36 CNU students and 25 CUE students who participated in the summer program by taking credited courses (PACT 240, ENG 101, EDPS 200) and cultural excursions. Farewell Concordia! Beijing Welcomes You! Thank you again supporting staff in Admissions, Alumni Relations, Aramark, Human Resources, International Office, Finance, Library, Plant Operations, Registration, Residence, Security, Students Life and Learning! Thank you Faculty of Education, Faculty of Arts!